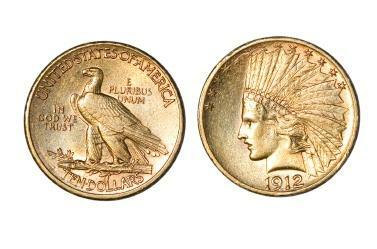 If you are looking for United States rare coin prices, it is important to use reliable and reputable pricing sources. Whether you are a serious rare coin collector or a hobbyist that dabbles in coin collecting, knowing where to find accurate and up to date pricing information is essential. Due to the fluctuation of rare coin values, prices sources must be updated on a regular basis. From numismatic rare mint coins to a coin commemorating a special year in your life, collectors find pricing information from online price guides, the U.S. Coins Red Book and numismatic newspapers and magazines. The Internet is an excellent resource for finding United States rare coin prices. The following websites are several of the best and most reliable rare coin price guides online. One of the most complete resources Best Coin Free Rare Coin Price Guide includes all the information for accurate pricing, a rare coin collecting guide and a coin collectors dictionary. Best Coin is an invaluable tool for numismatists of all levels. Professional Coin Grading Service provides a comprehensive price guide for all rare and important United States coins. The prices given refer only to coins with PCGS grading. Coins prices are updated daily as needed. PCGS also includes a coin market summary, bullion coin prices and an eleven-year auction price history of significant coins. NumisMedia Fair Market Price Guide is the official price guide of the Numismatic Guaranty Corporation, known as the NGC, and the Collectors' Society. Coin prices are updated on a daily basis. This website is free to everyone and a password is not required. The U.S. Coins Red Book is the name given to A Guide Book of United States Coins. Called the Red Book because of its color, this yearly publication contains the retail value of almost every United States coin ever minted. Coins that are made of gold or silver, called bullion coins, are highly prized by many collectors. Considered rare collectible coins by many, bullion coins technically are not a rare coin. The main factor used when determining the value of a bullion coin is its silver or gold bullion content, not its condition or rarity. The prices of bullion coins change on a daily basis depending on the world market. As the world market's gold and silver prices vary, the value of bullion coins fluctuate. When the term fair market value is used in reference to a rare coin, it refers to the price a dealer charges over the wholesale cost of the coin. Based on a coin's rarity, the fair market value also takes into consideration the coins condition, the material of the coin and the price histories of similar coins. Buying or selling rare United States coins is often complicated when it comes to determining the value of the coins. Rare coins, just as all antique and collectible items, have four values. The price the owner of the coin thinks it is worth. The price the buyer of the coin would like to pay. The price listed in a Price Guide or a Red Book. The actual price realized by the coin when it sells to a private buyer, a dealer or at an auction. Whether you are going to buy or sell rare coins knowing where to find United States rare coin prices that are accurate and timely is extremely important.